Emerita Libido Formula a unique formula that is designed to support a women's sexual desires. 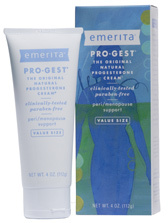 Pro-Gest Natural Progesterone 4 Oz. 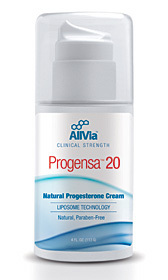 Pro-Gest Natural Progesterone 2 Oz. Emerita Menopause Plus Formula combines the most important menopause supplements into one supplement. Natural Lubricant with Vitamin E, a new personal lubricant formulated especially for women. Free of mineral oil and petroleum distillates, Emerita's Natural Lubricant supports and protects the delicate vaginal balance. Emerita's Natural Lubricant contains natural ingredients blended in a water-based solution and is latex-friendly, completely washable and non-staining. This superior lubricant contains natural ingredients to help restore balance and comfort, safely and effectively. The unique, water-based formula includes Aloe, known for its healing properties; Calendula, to soothe and heal dry skin; and Vitamin E, an antioxidant with moisturizing and healing properties. Ginseng has been added to help alleviate dry skin. Check each Emerita product for specific instructions, we sell only paraben free emerita products. Each Emerita product page comes with its own cautions.